Spread barbecue sauce evenly on dough. Top with remaining ingredients. Bake 13 to 16 minutes or until crust is golden brown and cheese is melted. 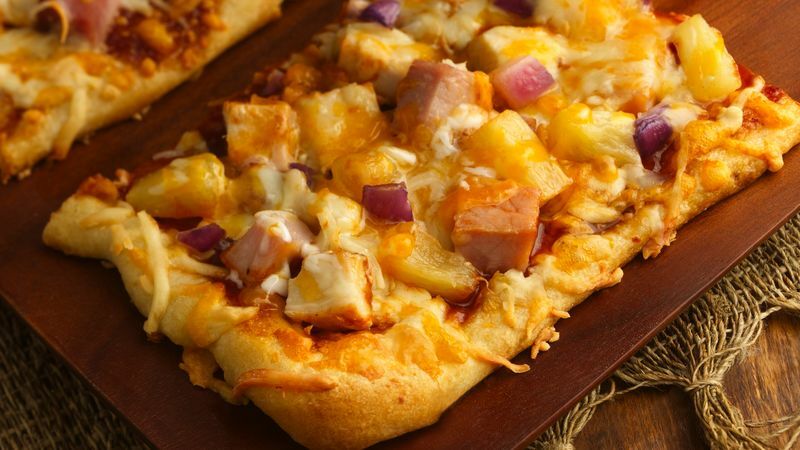 Pillsbury® thin pizza crust is a great alternative to the classic refrigerated crust. With no prebaking the crust, your pizza is ready in no time!